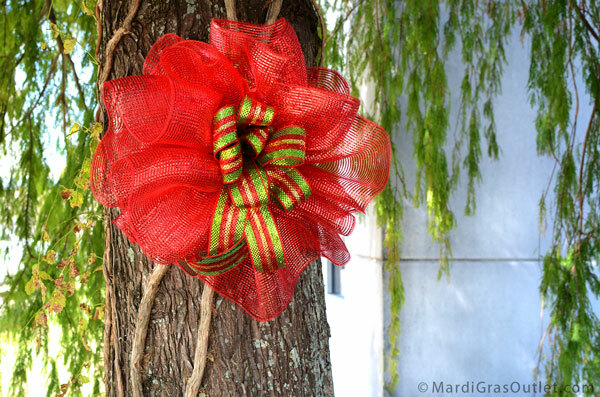 From gifts to garland, festive Holiday decorating means big, beautiful bows! 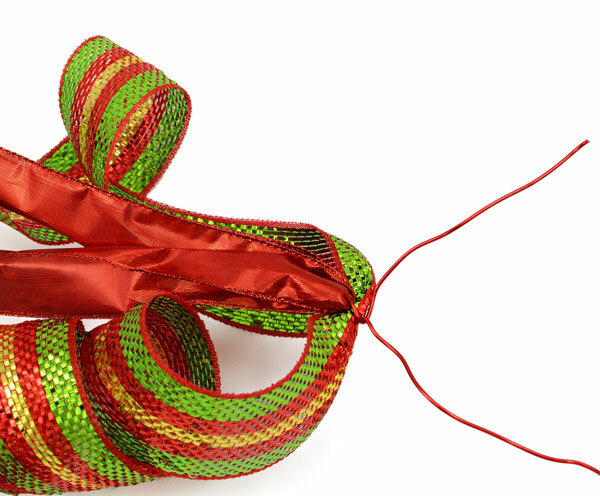 Combine two different patterns, styles and colors of deco mesh and ribbon to create large Christmas bows perfectly suited for all your decorating needs. 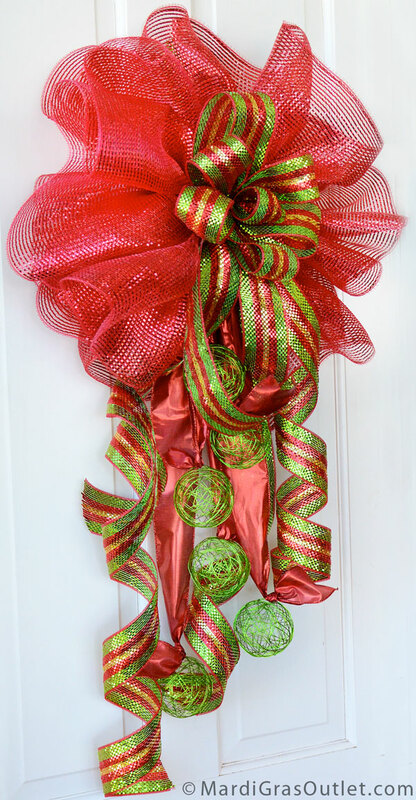 These over-sized DIY double bows are great for decorating large gifts, Christmas trees, wreaths and porches for the holidays. Making these large bows from 21-inch wide deco mesh is surprisingly easy! Just follow our tutorial video (below) to learn how to make your own. To purchase these products from www.mardigrasoutlet.com, click on the individual product link below or click HERE for a complete supply list. It took our designer less than 10 minutes to create the basic bow. The material cost is approximately $26 for enough supplies to make about 4 -5 large bows! A Second Version- Christmas Bow with wire ball accents. lots of sparkle and interest. 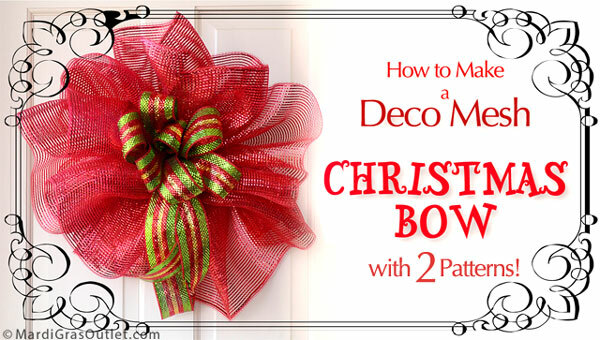 Here are is how you create this look from the basic double Christmas bow. Cut your desired ribbon- approximately 3-4 foot long pieces. Lay out length wise. Tie wire balls onto ends of the ribbon. 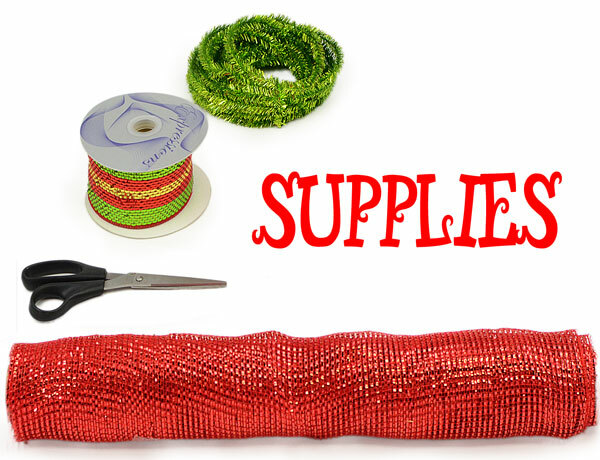 In the center of each piece of ribbon use aluminum craft wire or the tinsel roping to gather up the tails. Twist the wire so about half of the ribbon lies on either side. Stagger the wire ball height to create interest. Use this wire to attach the tails onto the back of the bow. 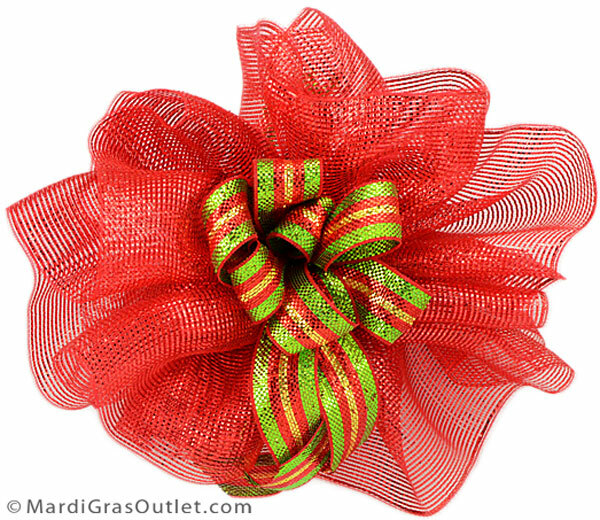 We used three pieces of red ribbon with a green wire ball on each end (6 wire balls total) and two additional tails of the striped deco mesh ribbon as accent. Love the wire ball accents in this post? So do we! These inexpensive and creative aluminum wire balls are our new craft obsession. Check back later for more posts on these fun new products. We've come up with lots of fun ways you can use the wire balls in crafting, tablescapes, and as decor for Holidays and Parties!